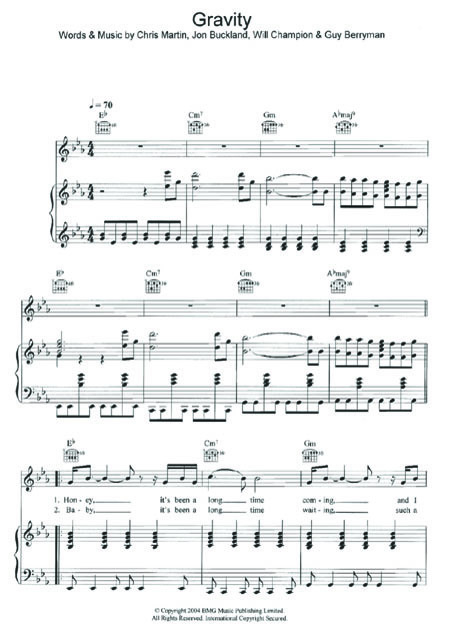 Gravity sheet music for the instruments piano, guitar, voice in the sheet music category guitar tabs, scores. Thank you for letting me know about this mistake! Now it’s fixed! Noticing in the comments that this was once mistakenly Sara Bareilles’ version of the song… I would actually love that version, too, if it’s not too much trouble. What is it about “Gravity” songs? They’re so good!